So, what could have been one of the biggest and messiest divorce stories of the decade has come to a rather quick conclusion. Jeff and MacKenzie Bezos have come to an agreement on their divorce. If you need me to bring you up to speed, a $137 Billion Dollars were at stake. And in a Community Property State! The Bezos’, among other things, built the company Amazon during their marriage, acquired a lofty fortune, and Jeff Bezos acquired a lofty title along the way. The world’s richest man. While I personally thought of them as the world’s richest couple, if the divorce had just gone by the definition of the law, they would each have walked away worth about $69 billion, therefore splitting the difference and giving the title back to Microsoft owner, Bill Gates. But they have apparently settled their differences very amicably. The wife will continue to hold 25% of their fortune while the husband will continue to hold 75% of their fortune. No lives were destroyed, no reputations dragged through the mud. (Well at least not by the direction of either member of this marriage.) And they reached the agreement in just over three months. I’ve seen couples battle it out for years and still walk away angry and with a smaller fortune, but a fortune no less. In fact, at the end, they released pleasant statements about the settlement that expressed gratitude for the past and excitement about the future. I don’t pretend to speak for the Bezos’, but I’m sure this outcome was possible because of the ability for them to focus on whether they could each be okay financially moving forward, and the ability to put their family outcome or their children’s needs at the center of the decisions. The lesson here is, “When there is a lot at stake, what is really important?” Is it important that the settlements be equal? Is it important that you get what you’re entitled too? Or is it really most important to just ensure that you have enough going forward to live the life that you see in the future and that your family be happy at the future weddings and holiday together? 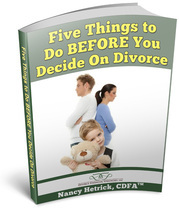 At Smarter Divorce Solutions, we value the kinder, gentler, more affordable route to divorce. If you need help deciding how to move forward in a more amicable way, contact us. We’re happy to help!